Start with the classics. For each character there are certain story’s that have stood the test of time and are still highly regarded even years or decades later. Many of the movie adaptions are at least in part based on these time tested classics. For Batman that would be Batman: Year One, The Long Halloween or Frank Miller’s The Dark Knight Returns. If Superman is more your thing, look into stories like Birthright and All-Star Superman. Find a good comic book store in your area. They can recommend more reading material for you based on your personal tastes and likes. They also sometimes have discounts on stuff they want to get out of their inventory that you might not find online. It’s also a great place to meet more similar minded people. If you like reading on your phone, tablet or other devices there are multiple services for reading comic books like that. On Comixology.com you can buy new issues separately as they come out the same day as in print. They feature everything from Marvel, DC, Image and many other publishers. They also offer a subscription service called Comixology Unlimited where you can read a vast variety of comic books for a small monthly price. And then there is Marvel Unlimited. Pretty much the Netflix of comic books. For $ 9.99 a month you can read through almost the entire catalogue of Marvel comics, with new stuff being added every week. Libraries don’t just offer old, boring books. Most libraries these days have a surprising collection of comic books. There is also the Hoopla service in the United States where you can read a large assortment of comic books from Marvel, DC and many more online through your library. So you don’t even have put on pants and leave your house. 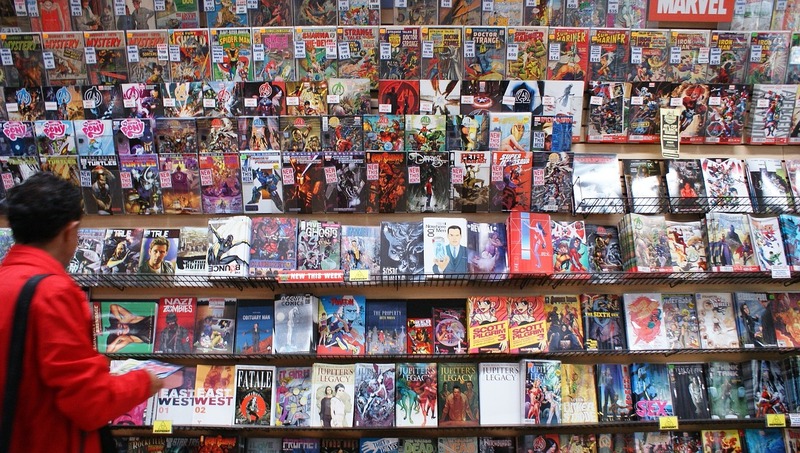 These are some simple ways to get started reading comic books. After a while you will figure out on your own what works for you and how you prefer to read. Just know you will be confused at times, don’t sweat it. Everyone is at the beginning. You can look up things that you don’t understand on Wikipedia. But keep in mind you don’t need to become a scholar to enjoy comic books. Just find something you like and go from there. I've been wanting to read comic books, my sister does, and I'd like to get into it. Thanks for the great post!